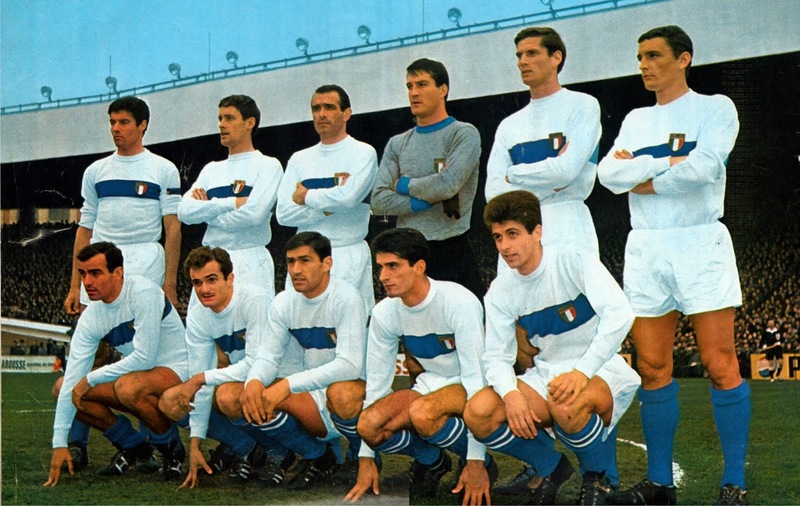 -The World XI selections for the years 1965 and 1966. The best books about the History of the Dutch National Team. This book deals with the History of Dutch National team. 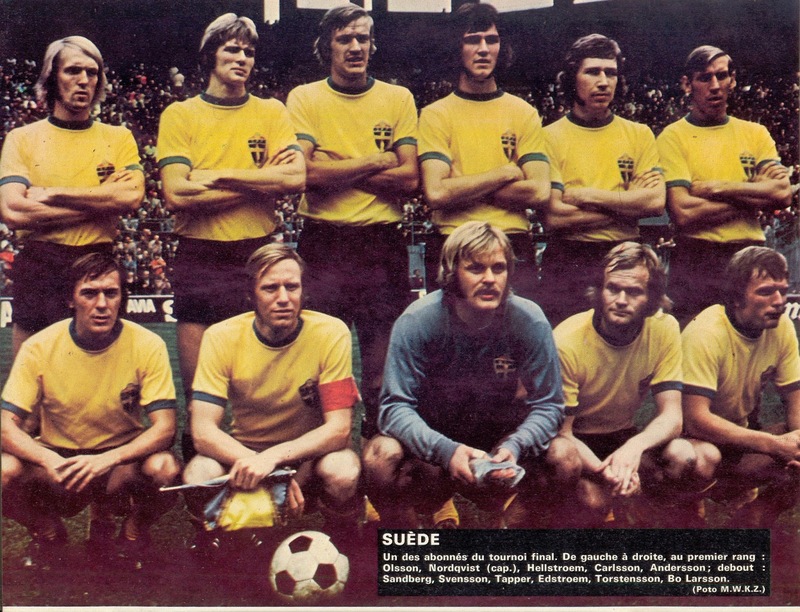 There is written history along with every Dutch Lineup and statistical information from the beginning to 1989. 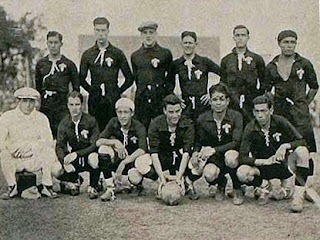 For just about every match, there is the team photograph taken before the match. 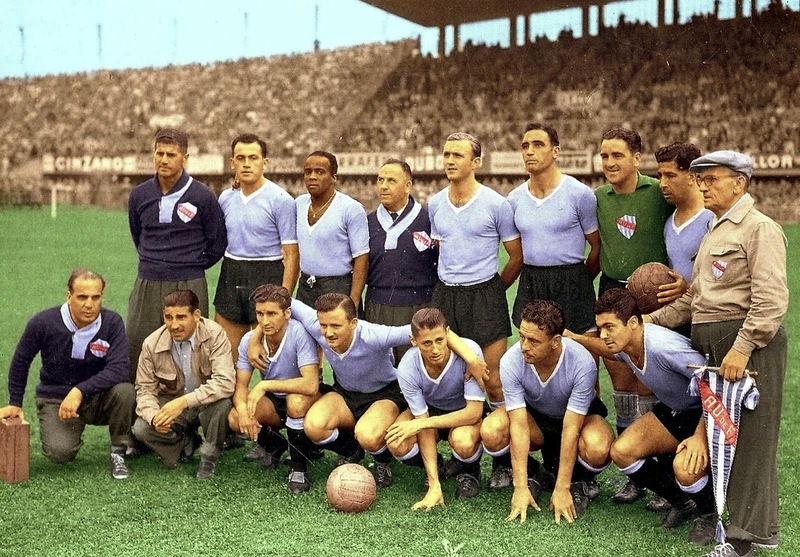 The archival photographs are in color and black and white. The continuation/supplement of the above mentioned book that covers 1989 to 1995. The excellent ongoing book series by Matty Verkamman that deals per a given certain period in addition to the latest season. The first deals for the period (1905-1914, 2000-2001), the second book in the series covers (1914-1926, 2001-2002) and so on. 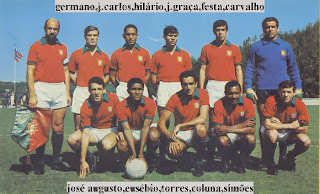 This time, in addition to all statistical information, each match has a write up, along with the archival photographs. This is just a statistical book about matches and results of Holland until 1999. There are no photographs nor written history, just facts. This is not a statistical book about matches and results. This book has a biography and profile of every Dutch International player until 1999. This book contains rare archival black and white photographs from Holland’s matches from 1911-1955. This book deals exclusively with the history of matches between Holland and neighbours Belgium. 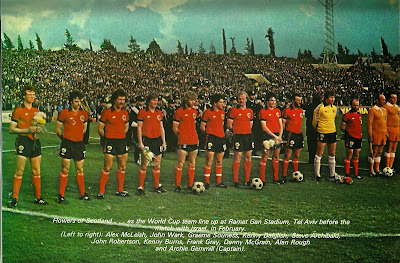 As usual contains lineups, archival photographs and a written description of each encounter. There is even a section on the unofficial matches between the nations. 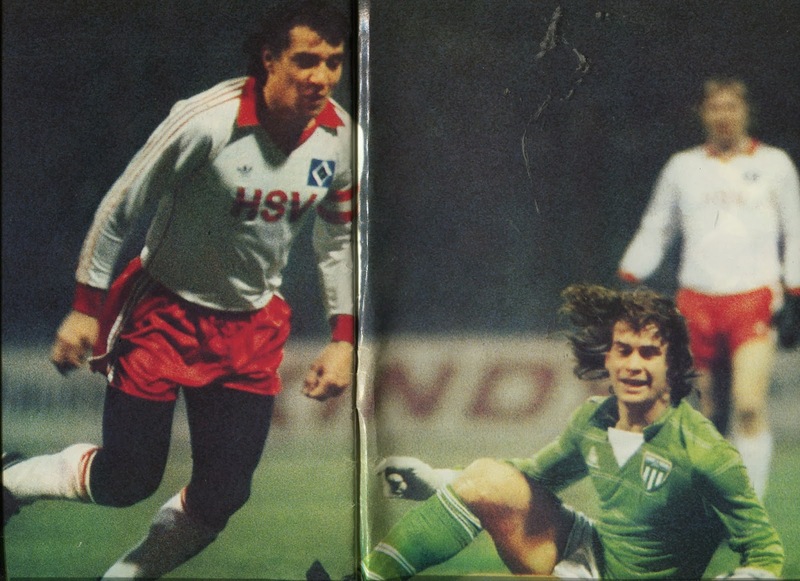 Saint Etienne and SV Hamburg were paired in the third round of the 1980/81 UEFA Cup. 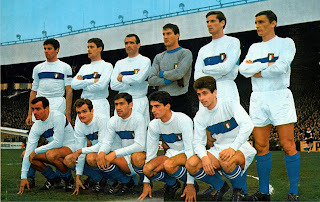 The French, managed by Robert Herbin, had been the dominant team in France since the 60s and had the greatest French star of the day, Michel Platini, in their ranks. The team contained a host of other stars such as Holland’s Johnny Rep, and Internationals such as Larios, Battiston, Christian Lopez and Zimako. They had eliminated in the previous rounds Finland’s Kuopio Palloseura and Scotland’s Saint Mirren. West Germany’s SV Hamburg, managed by the Yugoslav Branko Zebec, also hosted a number of Internationals in their ranks. Internationals such as Manfred Kaltz, Horst Hrubesch, Felix Magath formed the solid backbone of a team that had lost their English star Kevin Keegan in the offseason. 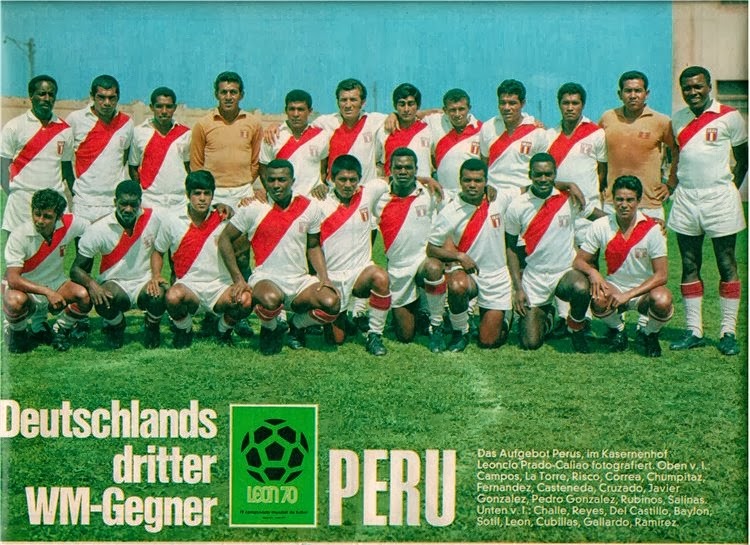 They had eliminated Sarajevo and PSV Eindhoven in the previous rounds. 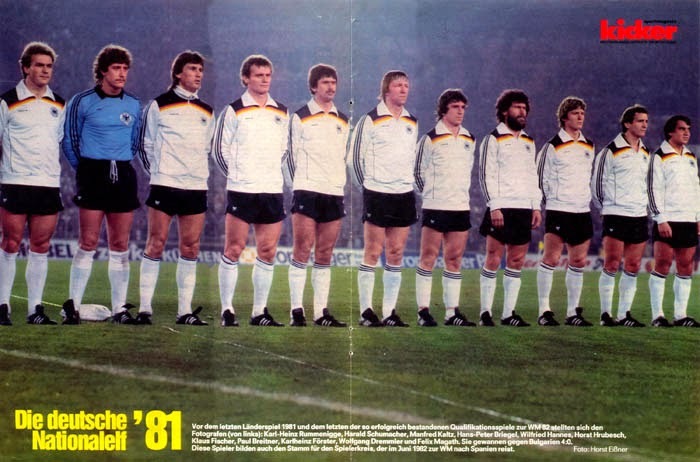 One week before the first leg, on November 16th, 1980, West Germany had hosted France in Hannover in a Friendly and had defeated France in a convincing fashion buy a score of 4 to 1. 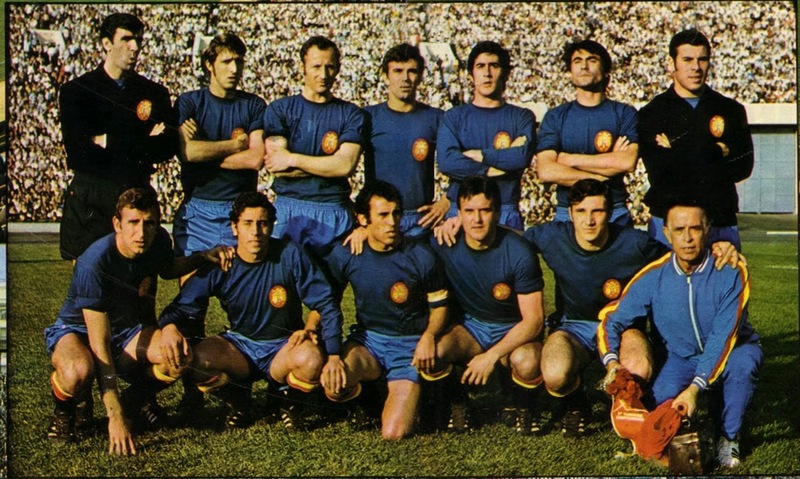 Many of the players who would participate in the UEFA Cup tie had been involved in that encounter. 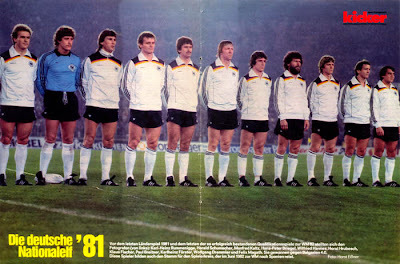 Manfred Kaltz had scored from a penalty and Horst Hrubesch had scored and assisted on another. 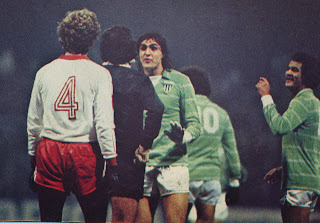 The Saint Etienne contingent of Janvion, Lopez, Larios, Platini and Zimako had been powerless, save a penalty kick from Larios. 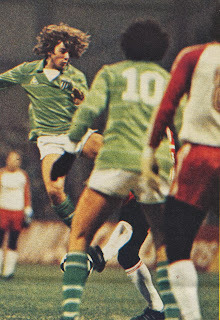 The French press had been severe with the French players who were seen as no match for Hrubesch’s aerial power. 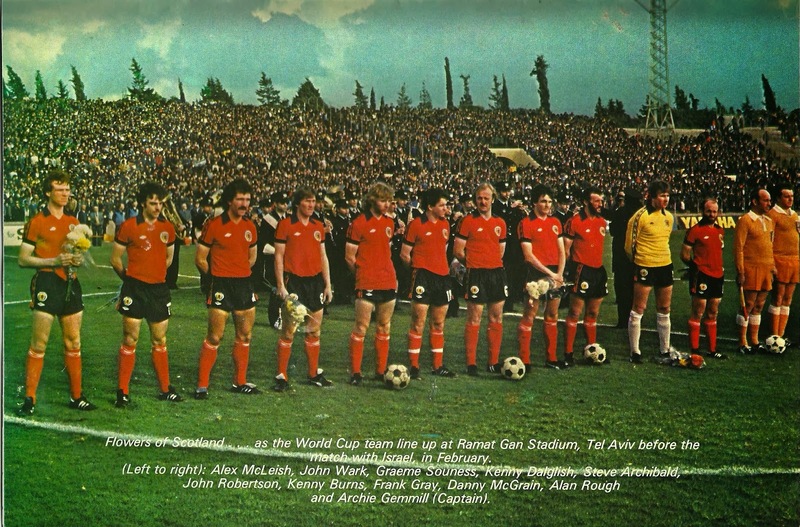 West German Manager Juup Derwall had described Platini’s performance as that of a General watching the battle far away with his binoculars. 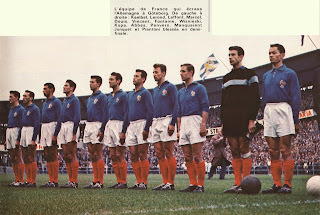 SV Hamburg’s General Manager Gunther Netzer saw this match as a formality after France’s performance the week before. 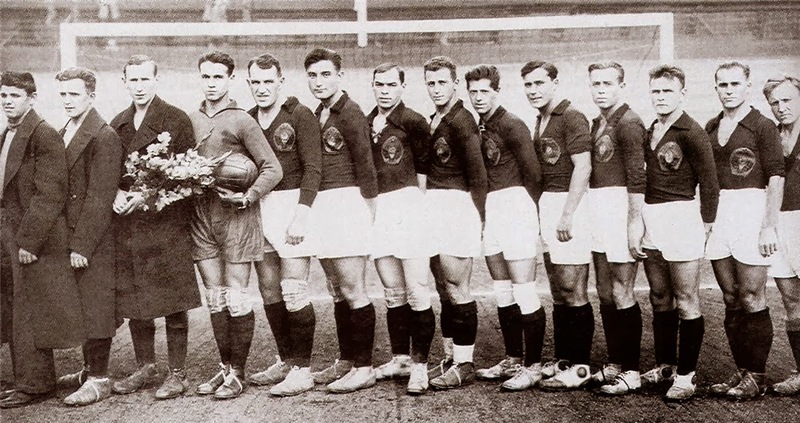 The first leg, on November 26th, was played in Hamburg’s Volkparkstadion. Hamburg had seen this as a comfortable tie and expected the opposition to come out on a defensive shell. 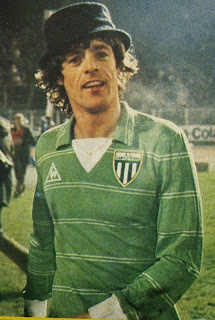 However, Saint Etienne Manager Robert Herbin was intent on winning this match and had instilled great confidence in a shattered squad. Instead playing defensively, as many would have predicted in an away European tie, the French players came out intent on redeeming themselves for the previous week’s drubbing. 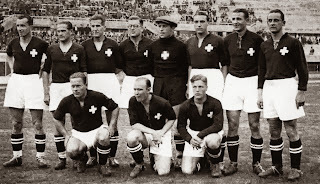 Hamburg was missing Yugoslav defender Ivan Buljan , playmaker Felix Magath and Striker Werner Dressel all out injured. 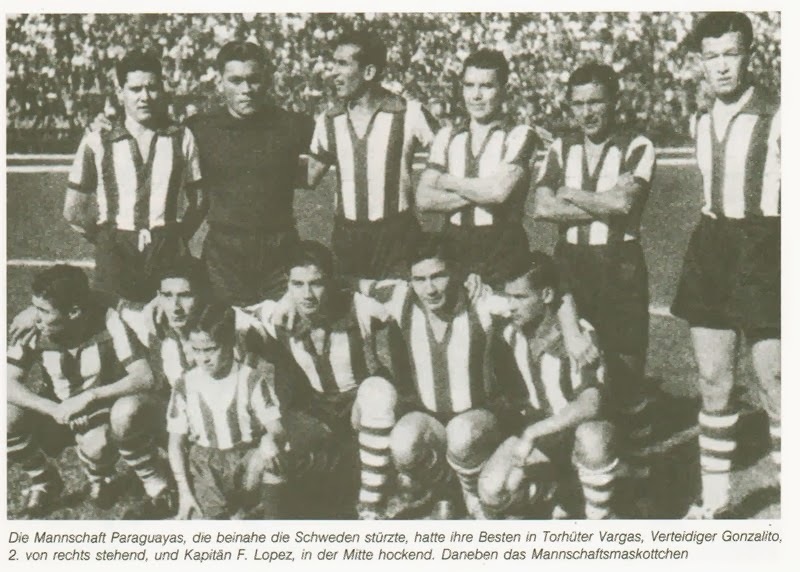 Striker Johnny Rep was also the first defender; he was assigned to track Manfred Kaltz’s forays up field. Bernard Gardon had the task of neutralizing Hrubesch, while Janvion was into the midfield. Saint Etienne scored in the 9th minute, after a one-two between Platini and Rep, Hartwig tried to tackle the ball away from Rep and inadvertently scored an own goal. 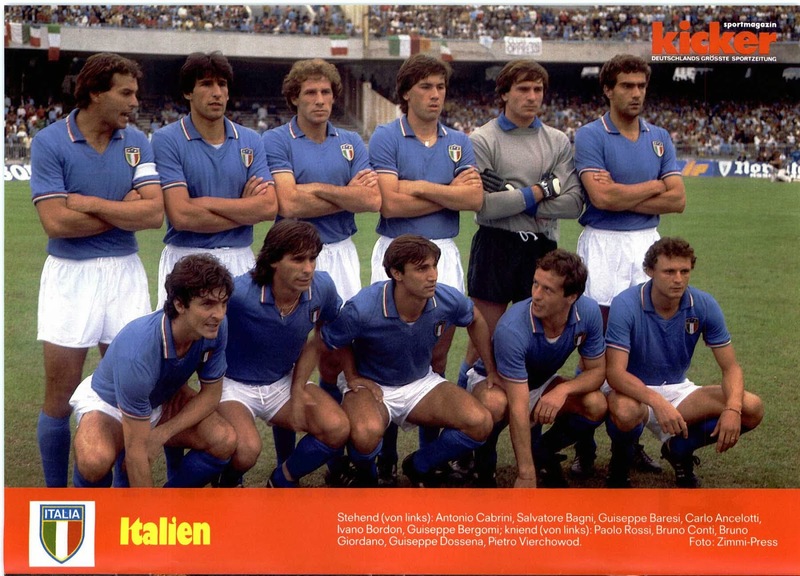 Platini scored the second in the 26th minute with an impressive dipping free kick. The French now in complete control scored the third in the 39th minute by Larios on a breakaway. 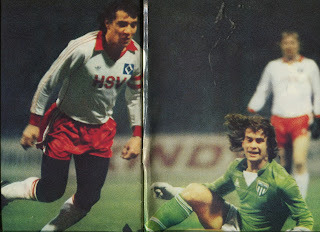 In the second half, Hamburg changed their uniforms by wearing a White shirt with red sleeves. Bernd Wehmeyer also came on in place of Milewski. With Saint Etienne in complete control, they scored two more goals in the closing minutes. 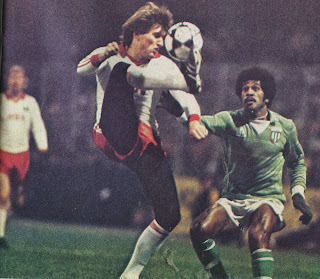 In the 85th minute, Battiston sent a long pass from his own half towards Zimako who eliminated his marker and moved up and scored from a narrow angle. Two minutes later, Platini collected a throw from Castaneda in his own half and advanced untouched and scored from along range effort from outside the box. After the match Platini amusingly said that he left his binoculars this time. The second leg, on December 10th, was played at Saint Etienne’s Stade Geoffroy Guichard. With the tie all but wrapped up, Hamburg were under no illusions and just tried to limit the damage. 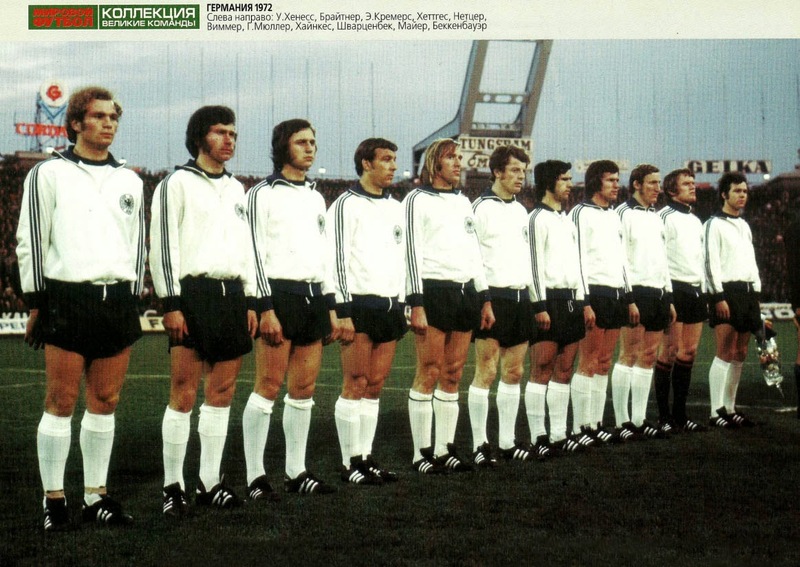 Magath was back in the lineup and captaining the side. Juup Koitka was dropped, after letting in five goals, in favor of Uli Stein. 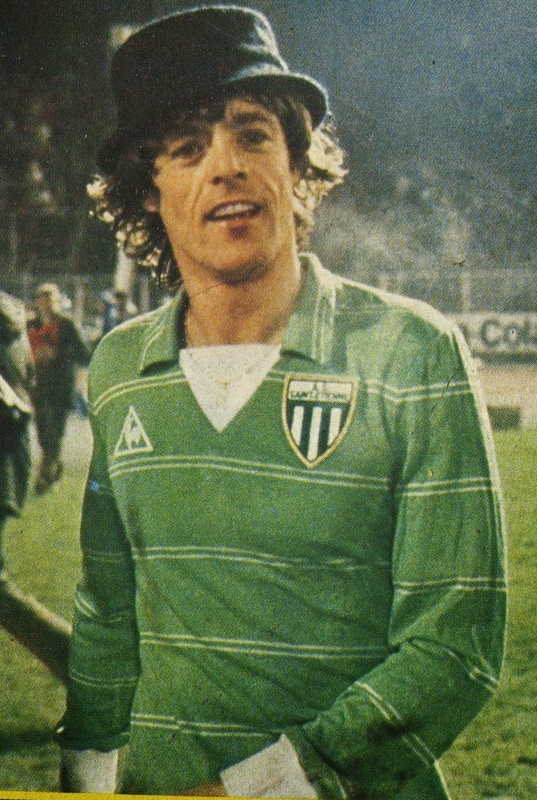 Saint Etienne had Laurent Roussey in place of Rep. 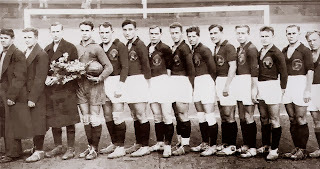 The match was played in very cold weather (-12 C) and the organizers had to spend up to 100,000 french francs to warm the field with generators. Horst Hrubesch was constantly jeered by the fans and Kaltz was particularly aggressive. Once again they scored early, in the 10th minute, when Paganelli roofed the ball after fine work by Larios. In the second half, just like the first match Hamburg changed their uniforms. 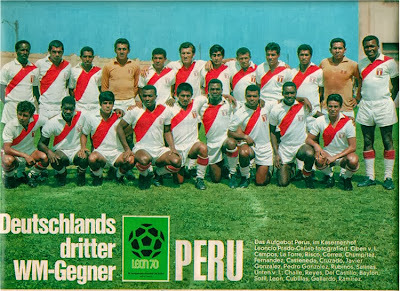 This time it was the reverse they started wearing the shirt with red sleeves in the first half and then changed to the all white. The rest of the match was uneventful as the outcome was never in doubt. 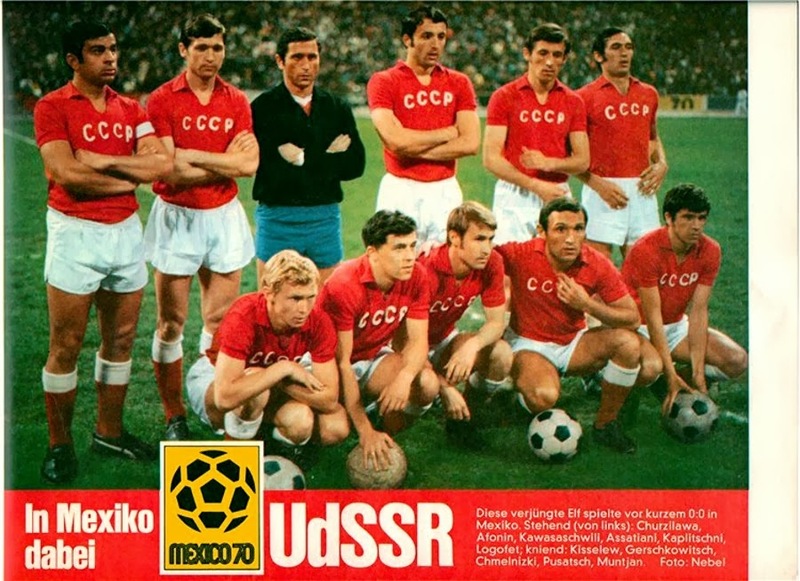 Branko Zebec resigned 8 days later, replaced by another Yugoslav Aleksandar Ristic. Ristic was able to achieve a runners-up finish in the Bundesliga. Saint Etienne qualified to the Quarterfinals, where they lost to eventual Champions Ipswich Town. They did win the League Title that season, their last to date. 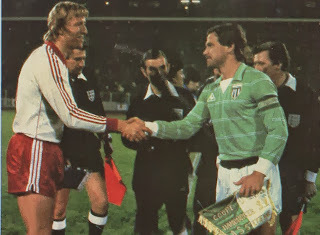 This match went as one of the greatest performances by a French team in the European stage and the last great performance of the great Saint Etienne.